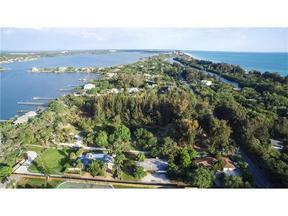 A special and rare 1 acre Lot (42,719 sq ft) on Siesta Key's quiet south half. Correct address will be assigned by county when permits are issued to build. Only .75 mile south of Stickney Point Rd, and across the street from The Sanderling Club, this Lot is surrounded by million dollar homes. Large enough to build your dream home, any style, shape, or size will probably work, from Key West to Spanish Med. The price is among the lowest per square foot on Siesta Key in many years. Owner has been clearing lot, careful to leave as many desirable trees as possible. Seller also has an acre Lot next door, with 20 ft on the Bay. They can be combined and purchased together at a discount. Two homes can be built, or one large estate. Seller is agreeable to help with financing: with 25% down, seller will hold a PMM for 3-5 years at 6% interest, or negotiate terms. Owner applying for Dock for Bayfront lot, and might accommodate a kayak or fishing pier for this non-waterfront lot to share. Owner will work with private parties or a builder. All County and environmental permissions have been received to build a single family home on this lot. Please walk the lot, and park in front in cleared area on MPR by sign.